(Kansas City, Mo. – March 12, 2015) The Kansas City Area Transportation Authority (KCATA) is encouraging people to celebrate “Bus Driver Appreciation Day” on Wednesday, March 18. Driving a Metro bus isn’t an easy job, but the best drivers make it look that way. KCATA Metro bus drivers provided nearly 16 million trips last year, getting people to work, school, shopping and medical appointments. We are asking Kansas City to say “Thank you” to a bus driver on March 18. KCATA encourages all riders to join us in celebrating our hard-working bus drivers. 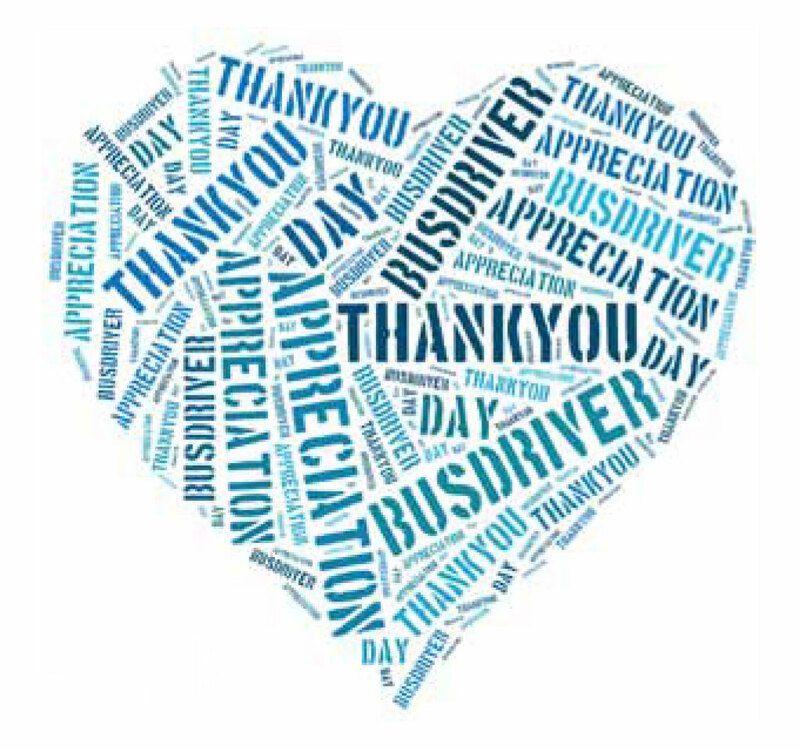 On International Bus Driver Appreciation Day, please make a point of saying “Thank you.” Printable cards are available: A Kansas City card is available here: Thank You! And additional thank you cards are available at www.busdriverday.org. For those who don’t ride on March 18, a “Thank you” or a card is welcome anytime. Riders can also send in a compliment for an operator at http://www.kcata.org/about_kcata/entries/contact_form/ or by calling 816-221-0660 weekdays between 6 a.m. and 7 p.m.
International Bus Driver Appreciation Day was started by transit riders in Seattle in 2009. Hans Gerwitz and Shannon Thomas wrote a blog post that inspired the International Bus Driver Appreciation Day movement. They chose March 18 because it was on that day in 1662 that bus service began in Paris.